If you want to download drivers for your device, the directest way is to download from the manufacturer’s website manually. Your USB to Serial product is no exception. Head to the manufacturer’s website of your USB to Serial product. Like Prolific, Billionton, Belkin, etc. Find and download the drivers matching with your device model and Windows operating system from the website. Note: Usually the drivers are provided under Support or Downloads Catalog. When downloading completes, double-click the downloaded .exe driver file to install it on your computer. If you have no time, no patience or if you are not a computer savvy to find and download the correct driver by yourself, choose Way 2 to let Driver Easy help you then. 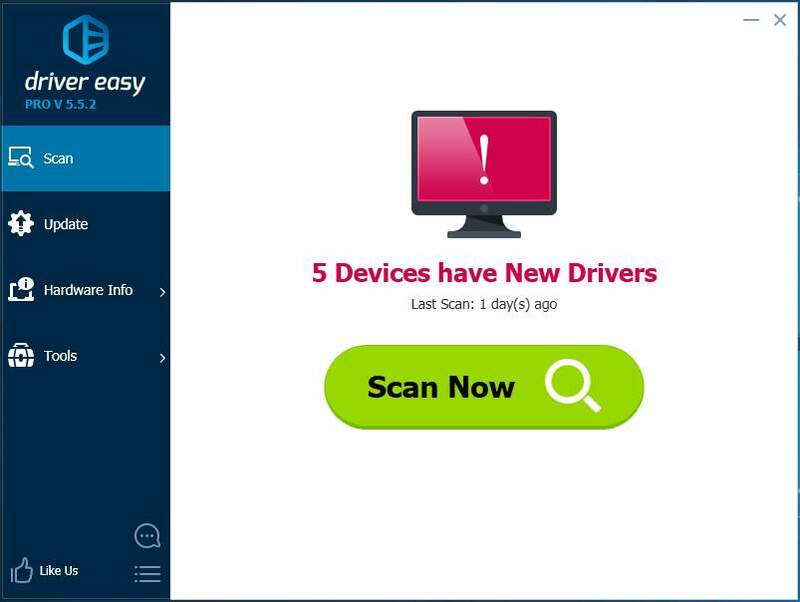 Driver Easy is a safe and really helpful driver tool. With its help, you can say goodbye to driver headaches and delays forever. 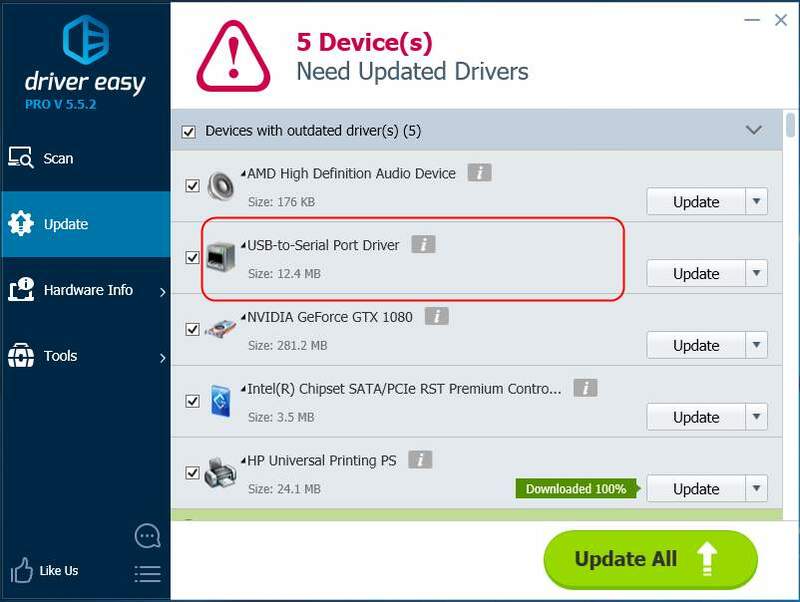 With Free version: Click the Update button next to the flagged USB to Serial driver to automatically download and install the correct version of this driver. 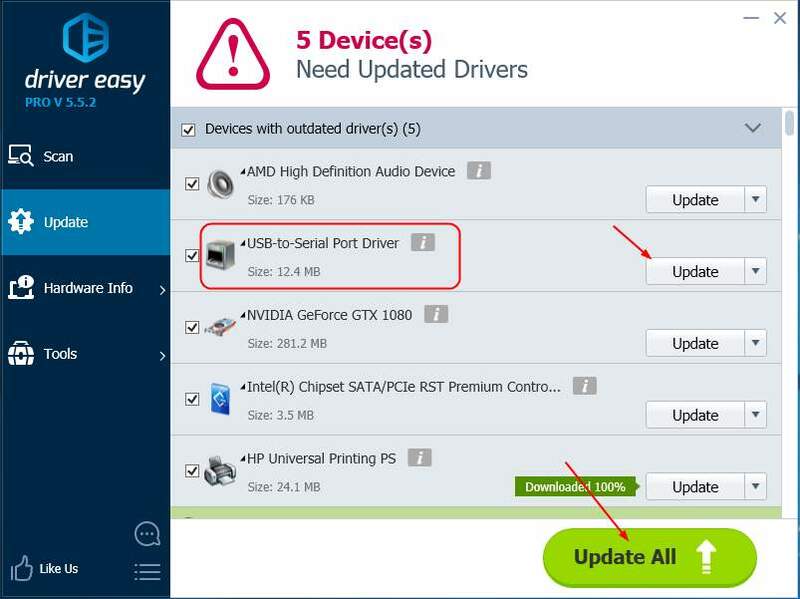 With Pro version: click Update All to automatically download and install the correct version of all the drivers that are missing or out of date on your system. Note: After installing new drivers on your Windows 10, please restart your computer to make the new drivers take effect.